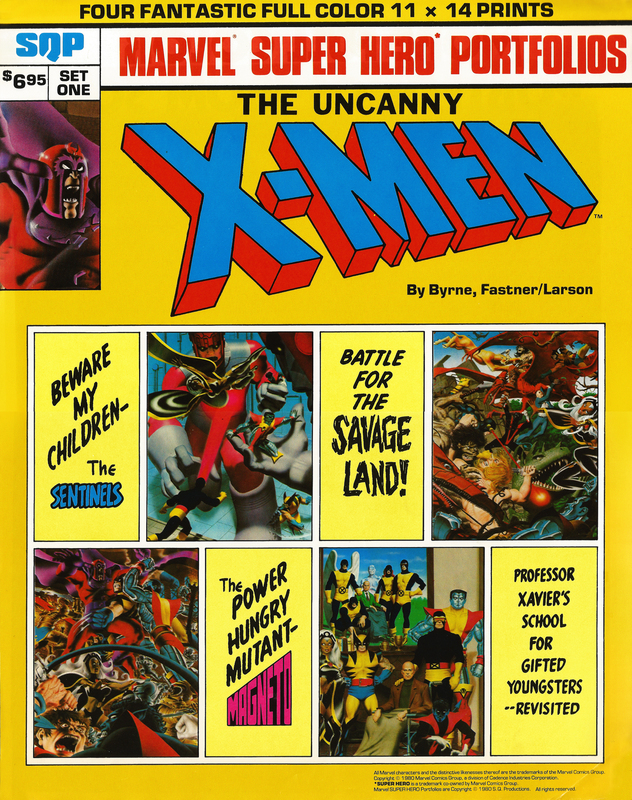 The Uncanny X-Men Portfolio, Set One (1980) | 'TAIN'T THE MEAT… IT'S THE HUMANITY! It’s been a busy week, what with work and such, so this will have to be a quick post. And since I’m also in the mood to post some pretty pictures I thought I’d revisit one of Marvel Comics’ portfolios from the early ’80s. 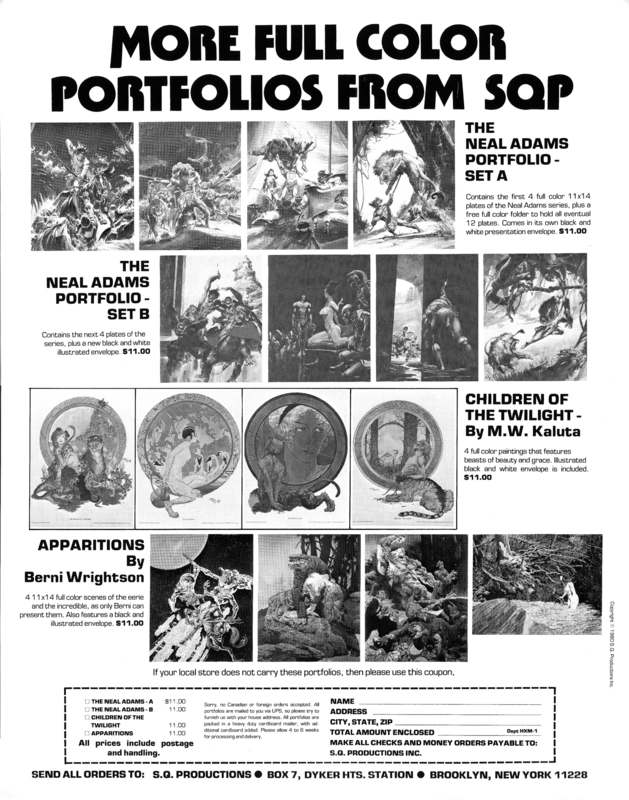 The first X-Men Portfolio was published in 1980 in an attempt to cash-in on the growing demand for limited edition artists portfolios – packs of 4-6 black and white (and sometimes colour) 14in x 11in high quality prints that were aimed at both comic book and fantasy fans alike. 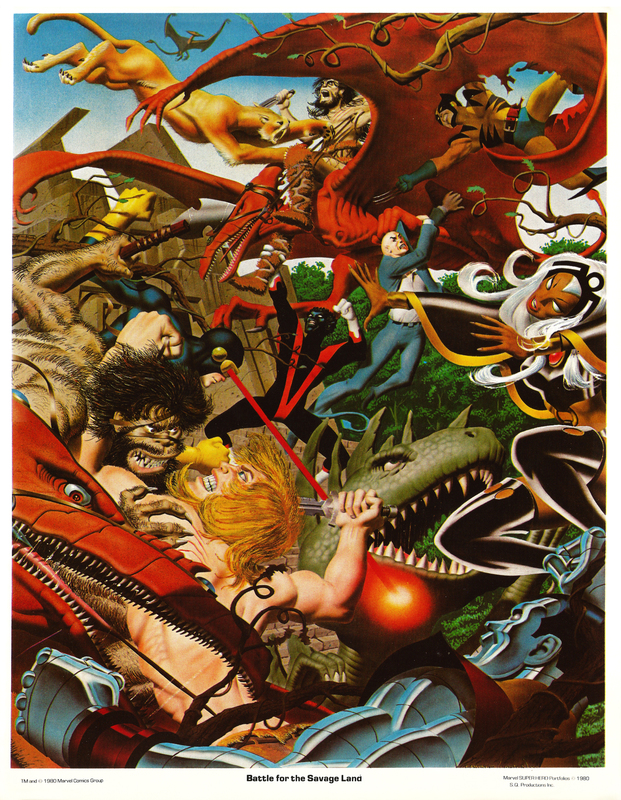 Featuring four full-colour paintings by Steve Fastner, Rich Larson and X-Men artist John Byrne the set was published by SQP, the same company that published The Art of John Byrne that same year. 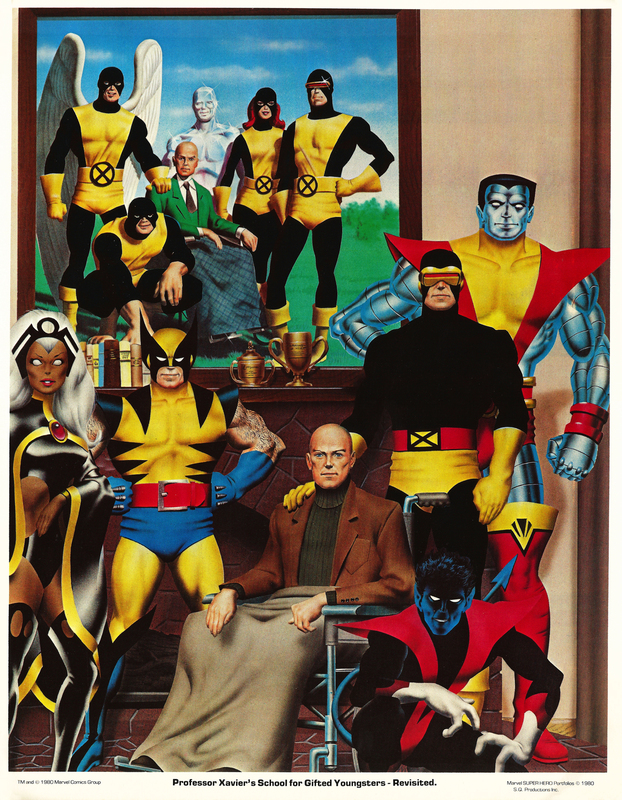 A second X-Men collection soon followed as did portfolios for both The Incredible Hulk and The Amazing Spider-Man. I bought copies of both the X-Men and Hulk portfolios in 1980 for a fiver each and was impressed with the workmanship; I’m a fan of any kind of painted Marvel artwork and these collections are favourites of mine. I remember being particularly impressed that Cyclops’ costume was jet black and not the dark blue traditionally found in the comics. 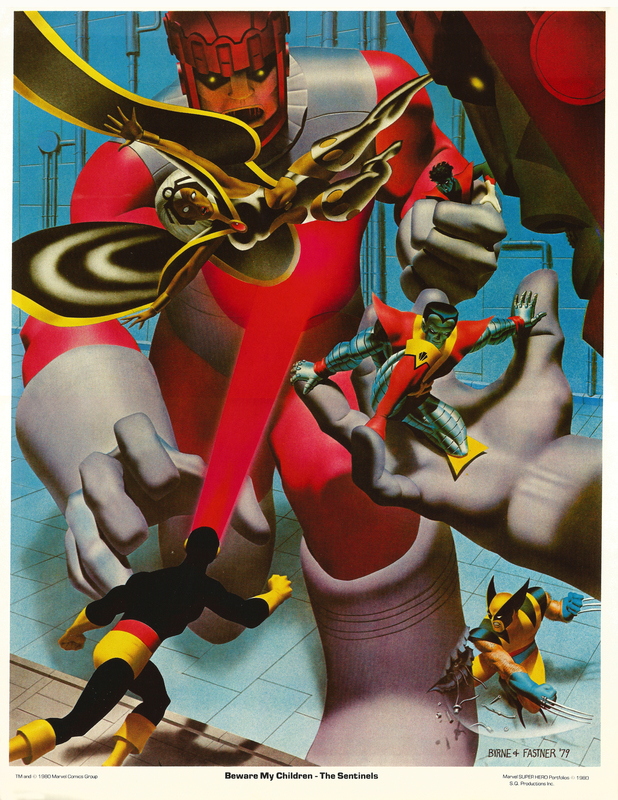 I’m also a great fan of the Sentinels and the first plate in the collection still looks great. 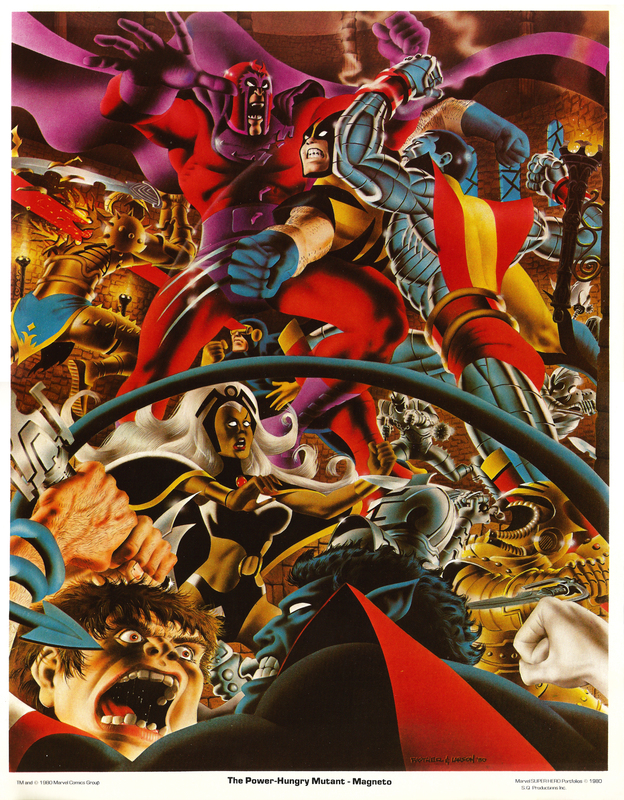 Copies of the long out-of-print X-Men Portfolio can be found on ebay but they’re not cheap – I’ve seen a few for sale and they’ve been listed for over £50. However, the Hulk and Spider-Man collections are a little cheaper. I’ve scanned in the four plates (below) as well as an advert for other SQP portfolios printed on the reverse of the cover. Click on the images for larger versions.